The month of October is tagged "Breast awareness month" because lots of issues concerning the woman's breast is been talked about in this month. Awareness about breast cancer and how to keep the breast healthy is been emphasised in all parts of the world during this month, and October 14th is basically tagged a No-bra day. There are many ways you can take care of your breast naturally as a woman. Still in the season of "breast talk", learn some few tips on how you can keep your breast healthy and nurtured. Read on, as you learn some new ideas. In case you are not informed about this, i am having the pleasure to let you know that obesity increases your risk of acquiring breast cancer. The rate at which a woman's body generates oestrogen increases with the more fat cells her body has, and this alone increases the chance of getting cancer. With respect to this, it is highly important for women to maintain a healthy weight, this does not only control the level of oestrogen hormones, it can also check for high cholesterol because it can also result to cancer as well. In addition to this, exercises also stimulates lymph generation in the body. A good lymph flow helps toxins to flow out of the breast and out of the system as a whole. A lot of article have been published on healthy eating, this is to emphasize how important it is to humans. As a woman, if you want to keep your breast healthy and nurtured, you should not refrain from healthy eating. Eat well balanced, natural and nutritious diet. Try to avoid junk foods as much as possible. Eat lots of green leafy vegetables and reduce your consumption of red meat. Green leafy vegetables are high rich in carotenoids, a natural pigments that serves as antioxidants. You should also try to consume lots of yellow/orange fruits and vegetables that are rich in antioxidant beta-carotene, because this also reduces the possibility of breast cancer. It amazes me whenever i see some people still smoking till date, especially the women. Try to quit smoking because it is not only injurious to your lungs, but it extends to your while anatomy as a whole. Smoking can lower metabolism, cause cellulite and make your skin to age before time. Passive smoking is as harmful as active smoking, so try to avoid smoking and at the same time desist from areas where people smoke. Consumption of alcohol and caffeine can increase breast pain and tenderness, leaving it un-nurtured. Women who consume more than two glasses of alcohol a day are at higher risk of breast cancer compared to women who does not drink at all. Sleeping late every night is not good for your health. Keeping up late at night suppresses melatonin level due to greater exposures to light. Research suggests that melatonin may help in regulating oestrogen levels. Nobody can understand your body more than you because you are the best judge of your own self. 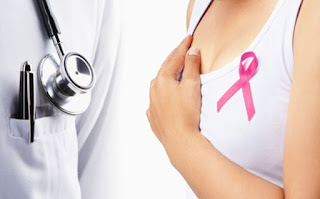 As a woman, you should be conducting self examination regularly especially if you are above 30 years or have a family history of breast cancer. If you observe any change in the size, shape or skin texture of your breast it could be an indication, there you should try and consult a medical personnel. Other symptoms to watch out for includes; lumps, discharges and rashes. If you mistakenly discover a lump in your breast, it should not call for alarm, because not all lumps are cancerous. Most times, a new lump may be a cyst or fluid-filled sac caused due to hormonal fluctuations. All you need to do is to seek for professional advice whenever this is discovered. Meeting a doctor can sometimes lead to early detection and improve the chances of cure. Keep your breast healthy and nurtured, avoid unhealthy lifestyles and maintain a healthy diet. By doing this, you will be maintaining your health as a woman and also have the wonderful breast that you deserve.